Exciting times ahead for Tunbridge Wells after planning permission has been granted. 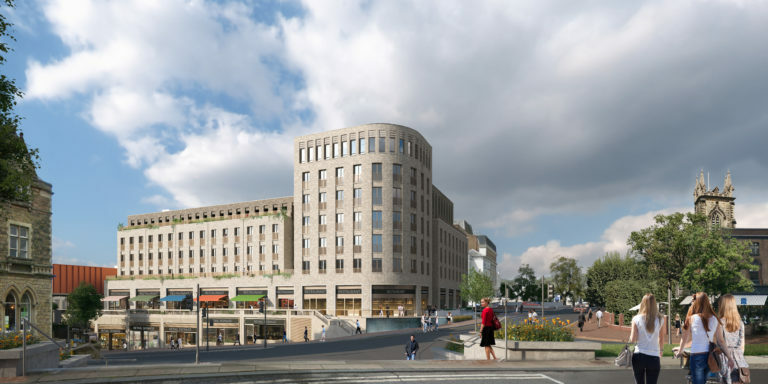 The new development, named The Belvedere, is hoping to create a vibrant new place that will bring a mix of living, shopping, leisure and community activities. The site is on Mount Pleasant Road between the railway station and Royal Victoria Place. The planning includes over 60,000 sq.ft of street level shops, podium level cafes and restaurants, a medical centre or offices and 108 contemporary apartments. Furthermore the £80m development will include a new cinema with three screens, a bar and restaurant. impressive backdrop to a vibrant cultural scene with a strong retail and food offering." Please contact us to discuss any potential planning applications that you are currently considering undertaking on 01892 534455.